On Friday, Feb. 23rd at 3:30, we will be hosting an information meeting in the Anthropology Laboratory (ECH 234) for all current and prospective students. This is an open meeting to discuss any and all student-related issues about our courses and programmes. Come one and all! 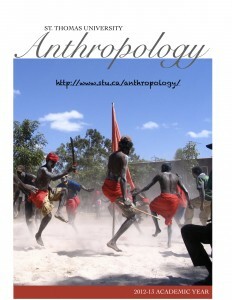 After a lengthy hiatus, I am back with some updates for our anthropology students here at St. Thomas University. We are currently preparing for registration for next year’s courses to begin, starting with our incoming 4th-year students. To that end, I have prepared a poster/brochure to provide a little basic information on all of the courses we will have on tap. Register early and register often!